In the summer of 1981, Lady Diana Spencer arrived at St. Paul's Cathedral in London to marry the heir to the British throne, the Prince of Wales. Perched atop her bridal veil (and her famous blonde 'do) was a tiara that belonged to her own family: the Spencers, an aristocratic English clan with a history that can be traced back for centuries. 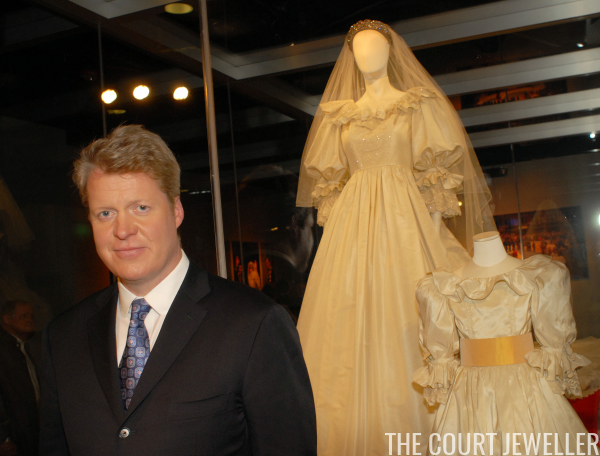 After Lady Diana became the Princess of Wales, she was given a tiara with royal provenance to use — Queen Mary's Lover’s Knot — but she continued to borrow the Spencer on a regular basis for white-tie events. Sources suggested that the Spencer tiara was much lighter and easier to wear than the Lover's Knot, hence Diana’s seeming preference for it. 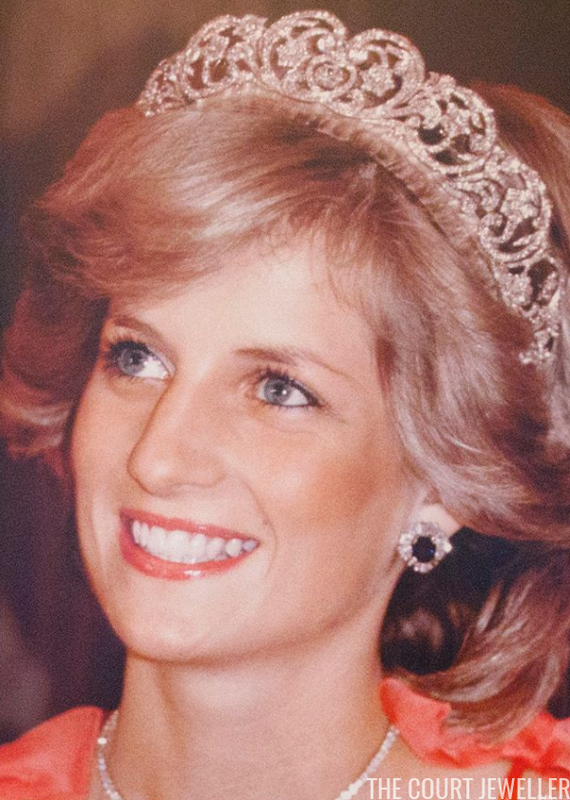 But Diana only wore each of these tiaras during her tenure as the Princess of Wales. 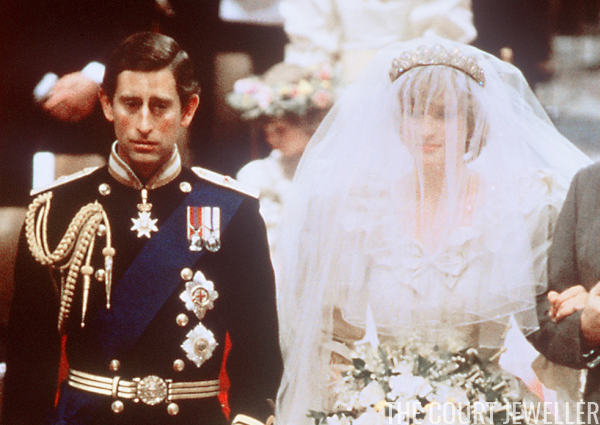 After her divorce, the Lover's Knot Tiara was returned to the queen; as for the Spencer tiara, it always belonged to Diana’s father (and later her brother) — the piece was only on loan to her. For many years the Spencer tiara was on display as a part of the traveling exhibit on Diana’s life, but now I think it's safe to say that the tiara is back in the vault at Althorp, ready and waiting for an opportunity for the current countess to wear it. I know many often express their wish to see either the Duchess of Cambridge or Prince Harry's future wife wearing this tiara, but I think that's highly unlikely -- it's a Spencer tiara, not a royal one. Instead, I think we'll see it again one day on another Spencer lady (either the current countess, or maybe one of the earl's daughters). Dare I suggest that the next coronation — that of the earl’s former brother-in-law — might one day be just that event?